Mr. Jacobs is a shareholder, and has been an attorney with the firm since 2000. His practice emphasizes water rights (both surface and groundwater), environmental law and land use matters. 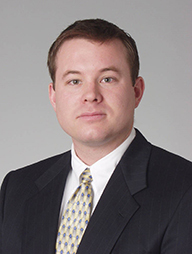 He has significant experience representing clients in all phases of administrative and litigation matters. Mr. Jacobs’ practice includes federal and state environmental laws, including the California Environmental Quality Act, Endangered Species Act, Clean Water Act/Porter Cologne, Sustainable Groundwater Management Act and matters pertaining to property rights and entitlements. He is also experienced in Proposition 218 matters, flood liability, and state subvention law. Chosen to Super Lawyers’ Rising Star list, Nick has a common sense ability to cut through problems and not get caught up in minutiae. Outside of work, he spends time with his family and enjoys fishing in California’s ocean, streams, and lakes—closer-to-home alternatives to his favorite spot off the coast of Rhode Island’s Block Island. Represent municipal water district on creation of joint powers agency to own/operate municipal wastewater treatment plant. Represent various agencies/municipalities on compliance with the Sustainable Groundwater Management Act. Draft appellate amicus briefs in support of municipal clients claiming certain terms of their MS4 permits were state mandates for which subvention applies. Represent wine grape and pear growers in challenge to State Water Resources Control Board regulation that imposed restrictions on use of water for frost protection in Mendocino and Sonoma Counties. Represent municipal water district in contractual and other matters related to conveyance and treatment of sewage. Represent California city in Chino Basin groundwater matters. Prepare water rights opinion for investors’ due diligence on purchase of significant acreage involving Colorado River water rights. Represent major California water agency on Kern River water rights matters, including proceedings before the State Water Resources Control Board. Prepare water rights opinions for vineyard operators, and provide counsel regarding frost protection, Fish & Game Code section 1602 permitting (streambed alteration permits), and Endangered Species Act issues. Counsel clients regarding water transfers. Prepare water rights opinion for investors’ due diligence on purchase of major California/Nevada ski resort properties. Represent municipal water supplier in adjudication of the Seaside Groundwater Basin and related proceedings. Represent public utility district on range of matters, including matters involving water rights, compliance with the California Environmental Quality Act (CEQA), compliance with waste discharge requirements and operation of wastewater treatment facility. Represent international wine company on water rights and environmental matters. Represent Butte Sink duck clubs on water rights matters. Represent mutual water company on water rights issues and negotiation of multi-party conservation agreement. Represent irrigation district client in successful appeal resulting in removal of “Term 91” from client’s water rights permit. Advise wide range of clients regarding water right reporting requirements. Represent city and county in FERC relicensing process. Advise clients regarding Water Supply Assessment requirements and review assessments for consistency with existing law. Represent various clients on Reclamation Reform Act issues. Counsel technology company that produces dairy waste treatment systems regarding permitting and CEQA issues. Represent numerous public agency and private clients in preparing/reviewing/commenting on environmental impact reports. Clients include cities, counties, water districts, irrigation districts, public utility districts, resource conservation districts, and private developers. Represent resource conservation district in litigation challenging expansion of landfill, resulting in multi-million dollar settlement to benefit environmental preservation and protection efforts. Represent resource conservation district in administrative challenge to wind farm project, resulting in favorable settlement including monetary terms and setbacks from sensitive habitats. Represent major irrigation district in litigation successfully defending reliance on CEQA exemptions for conjunctive use testing project. Represent California county in suit seeking damages and injunctive relief relating to significant groundwater contamination. Represent plastic pipe trade group in achieving favorable settlement allowing stateside use of their product. Represent agricultural property owners in local permitting and Williamson Act contract consistency issues relating to developing duck club facilities. Represent duck club property owners in successful litigation limiting use of their road by neighboring property owner’s lessees. Represent development company on various water and environmental issues associated with specific plan development. Counsel both public agency and private clients regarding legal issues associated with drainage. Advise California reclamation districts on various matters, including landowner responsibilities and levee maintenance issues. Negotiate easement agreements between neighboring landowners. Represent a Nevada county in litigation against the Federal Emergency Management Agency (FEMA) relating to flood insurance rate mapping issues. Counsel developers regarding FEMA flood mapping issues and process. Counsel numerous special districts and municipalities on compliance with Proposition 218. Represent irrigation district in litigation to successfully validate assessment program. Represent plaintiff clients in successful challenge to improperly imposed special assessments. Represent joint powers authority in appeal limiting award of attorney’s fees. Defend California county against motion for attorney’s fees. Light v. State Water Resources Control Board, 226 Cal.App.4th 1463 (2014). El Dorado Irrigation Dist. v. State Water Resources Control Bd., 142 Cal.App.4th 937 (2006). North Gualala Water Co. v. State Water Resources Control Bd., 139 Cal.App.4th 1577 (2006).